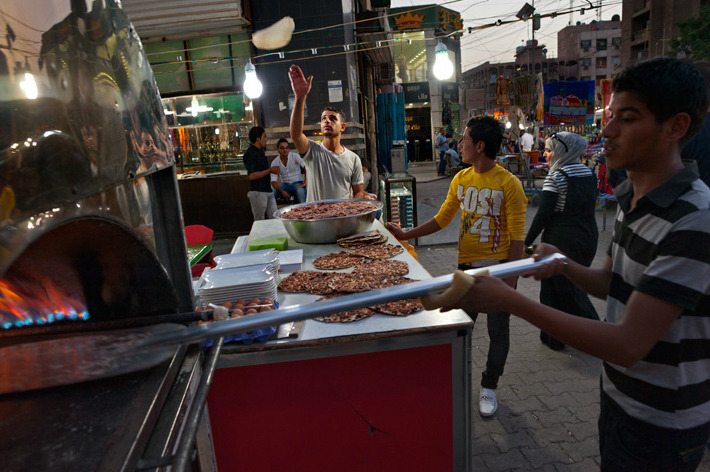 Vendors prepare lahm bi ajeen, similar to pizza, in central Baghdad's bustling, upscale Al Karradah district. Roadside bombs in the neighborhood are a continuing hazard but have not deterred shoppers. Generators help keep lights ablaze during the city's frequent power cuts.